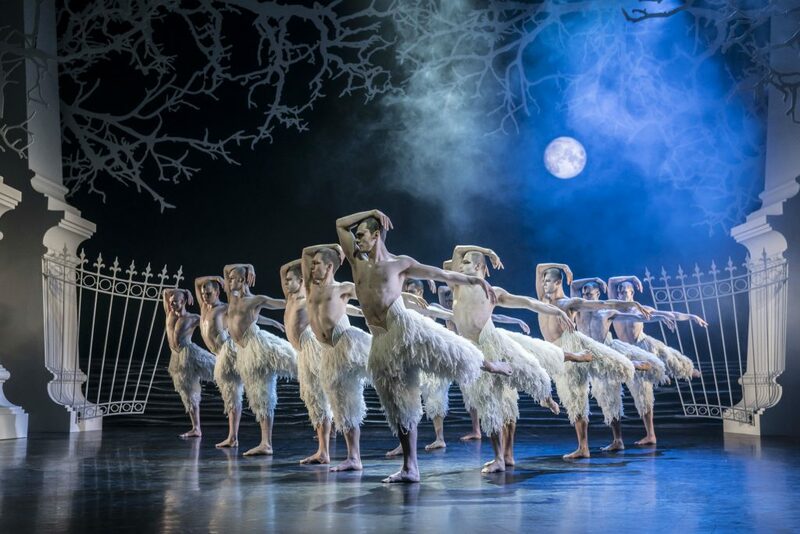 Sir Matthew Bourne’s multi award-winning ballet update of Swan Lake has swooped into Birmingham Hippodrome until Saturday 16th February for a two-week run. 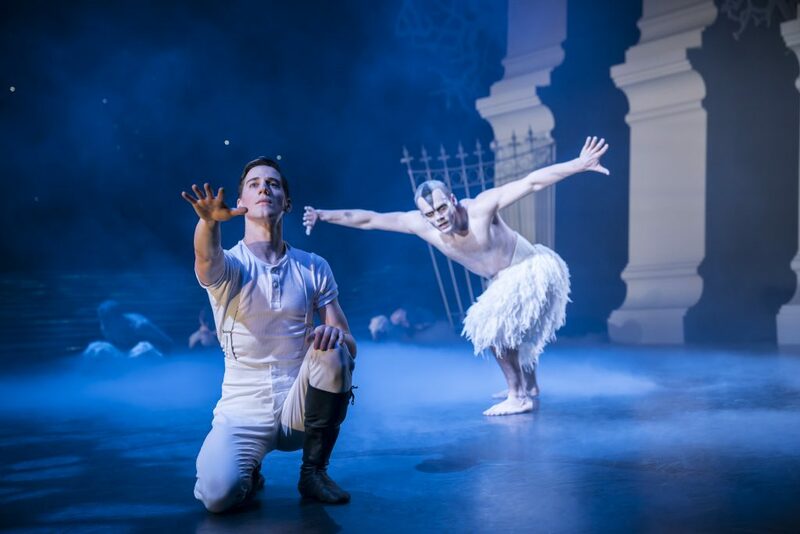 The Prince (Dominic North) is haunted in his dreams by The Swan (Will Bozier) and awakes to tell his mother, The Queen (Nicole Kabera) but she appears to dismiss him. They have engagements to attend throughout the day, launching ships, unveiling artworks and bestowing honours on the military. The Prince meets a seemingly unsuitable Girlfriend (Katrina Lyndon) who joins them in the Royal Box at the opera. After a visit to the Swanky nightclub (see what they did there?) The Prince is drunk and in a tormented state. In a park he seems to have a dream/vision of the Swan who is now with a flock of swans. They dance and he appears to join them. 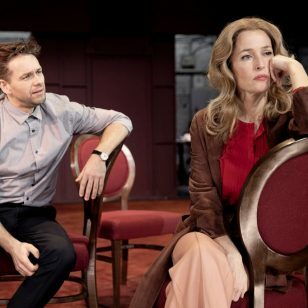 After the interval, a Stranger also played by Will Bozier appears at a party for the elite in the Palace, the Stranger dances with the ladies at the party and The Prince becomes very frustrated, which spills over into anger. Dave: This was my first experience of a full ballet and while some elements are a little confusing I had a really great time. I kept expecting people to speak or sing! I’d deliberately not read anything about what happens in the story of Swan Lake as I wanted to come to it as fresh as possible. Working out the characters and how much time was passing both took a fair moment. Were somethings happening or were they dreams or were they signs of mental health challenges. Julie: What a breathtaking show! Swan Lake is the Romeo and Juliet of ballet, a tragic love story. The sets are surreal and often dreamlike in places. My favourite scene was when the Queen, the Prince and his latest girlfriend are at the ballet themselves. As well as having a few laughs proving it’s not all stern and serious, there is a lot of humour in Matthew Bourne’s Swan Lake, it was lovely the way our stage was transformed into a stage and royal box so we could watch the royal family as they watched the ballet that we could also see. Dave: To see how much plot can be told through dancing makes me realise just how much we communicate without actually speaking. Especially within the lighter and darker moments, and of course the music is very important to telling the story too. I was at least familiar with the music which draws many traditional elements from the more well known versions. Julie: The dancing is impressive, with a lot of the moves looking like they break or at least bend the laws of physics in places. Impeccable timing in the group dances and just so much strength, it’s impossible to not be impressed. My favourite character? An impossible choice. The Prince and The Swan are both fantastic, when the Prince picks up the bare chested and totally muscular Swan, the Prince made it look like he was lifting a much much smaller person. I loved the Queen, partly because she has some more traditionally classic dancing and is wearing such beautiful costumes throughout. I’d defy anyone not to love the Prince’s girlfriend, she has all the best comedic moments and the swans when they are dancing as a group or is that a gaggle? The big scenes with all the swans are beautiful and I found myself smiling when they were behaving like grumpy swans, hissing at everyone who comes too close. Dave: The plot in this version explores themes of sexuality, emerging sexual feelings and being trapped in situations, The Prince is free with the Swan and the flock to find out who he really is. 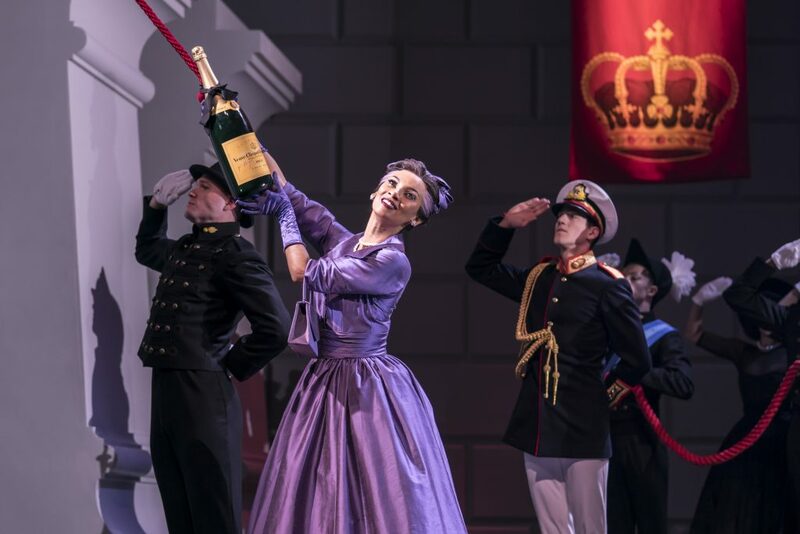 The cast change roles at different performances, James Lovell is a graduate of Birmingham’s Elmhurst Ballet School and is rotating the role of the Prince with Dominic North throughout the 2019 tour. 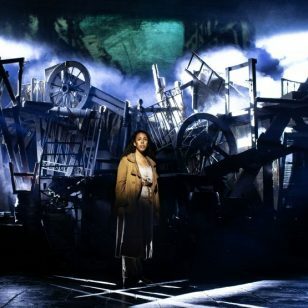 Julie: This production has been given the Matthew Bourne treatment and reimagined for the 21st century and I absolutely loved it, every moment. This isn’t a sponsored post. #BrumHour was invited to see Matthew Bourne’s Swan Lake by Birmingham Hippodrome. When not blogging theatre for #BrumHour Dave Massey can be found eating crisps and claiming to be at the gym. And tweeting about Birmingham.